The Linden sweatshirt is an easy and casual garment sewing project. 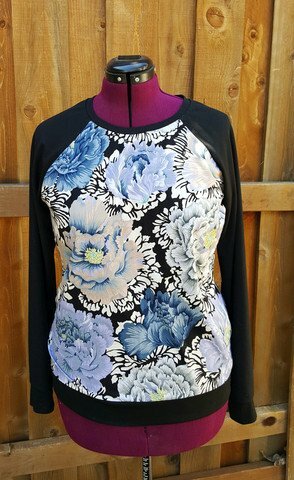 This pattern offers easy raglan sleeves, multiple style options, and straightforward instructions. In this class, we will guide you through the basics of sewing with knits as we work together to complete this piece. For this project, you can use either a serger or home sewing machine. Requirements: Ages 15+ Completion of Intro to Sewing and at least one other class or equivalent experience is required for this class.